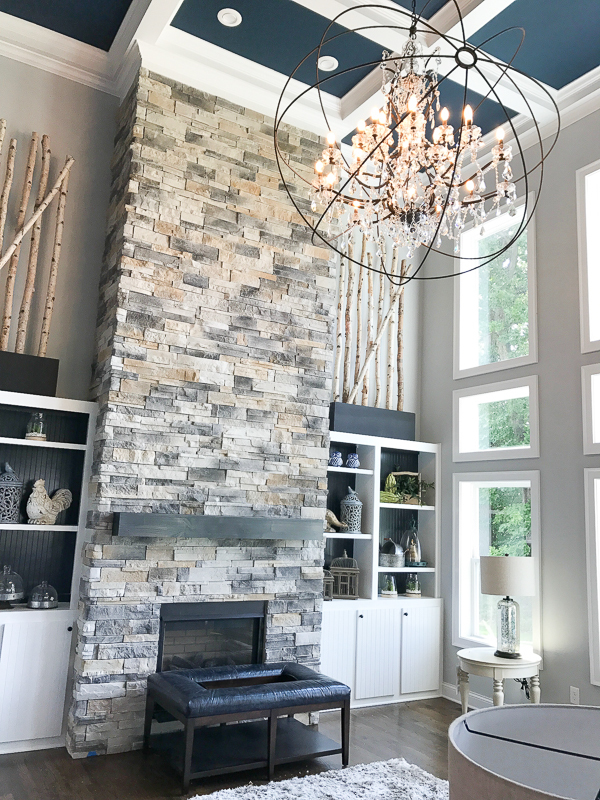 2017 BIA Parade of Homes Sneak Peek! Hello! 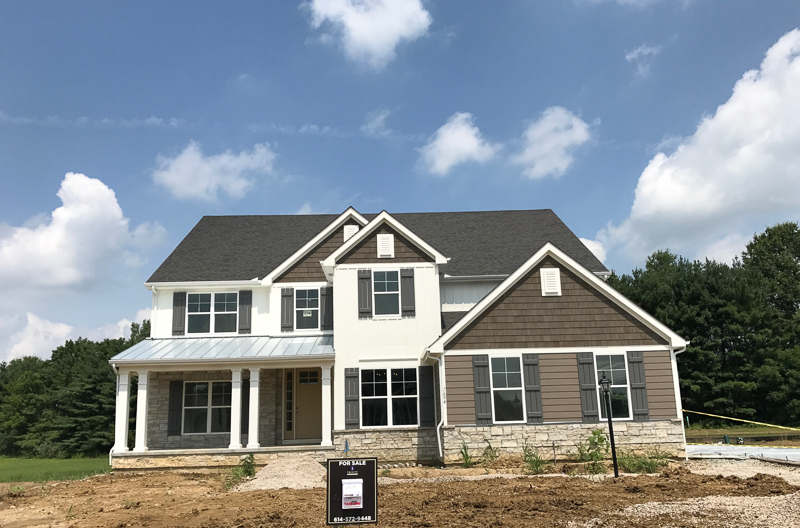 Yesterday I had the opportunity to go through my local Central Ohio 2017 BIA Parade of Homes a month before it opens to the public! 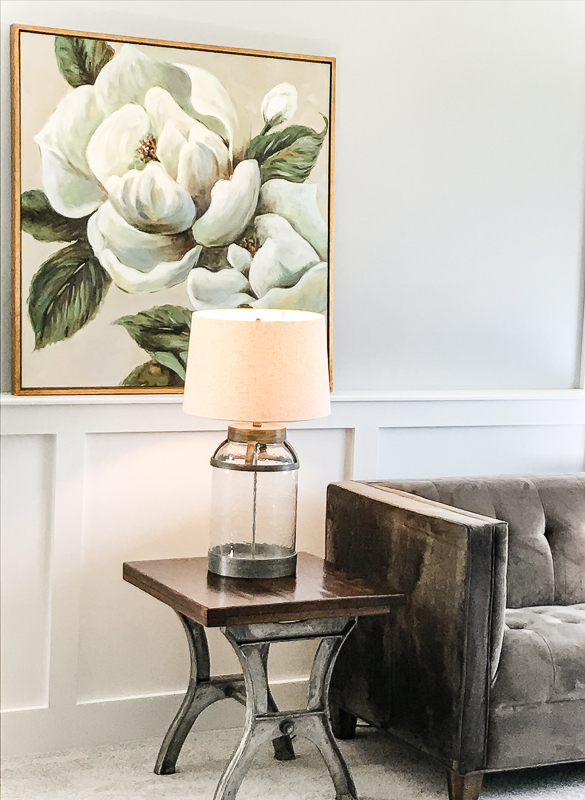 Almost all of the homes were not decorated yet so it enabled me to focus on the bones and basics of the homes and I’m excited to share with you today the 12 current home trends I observed. 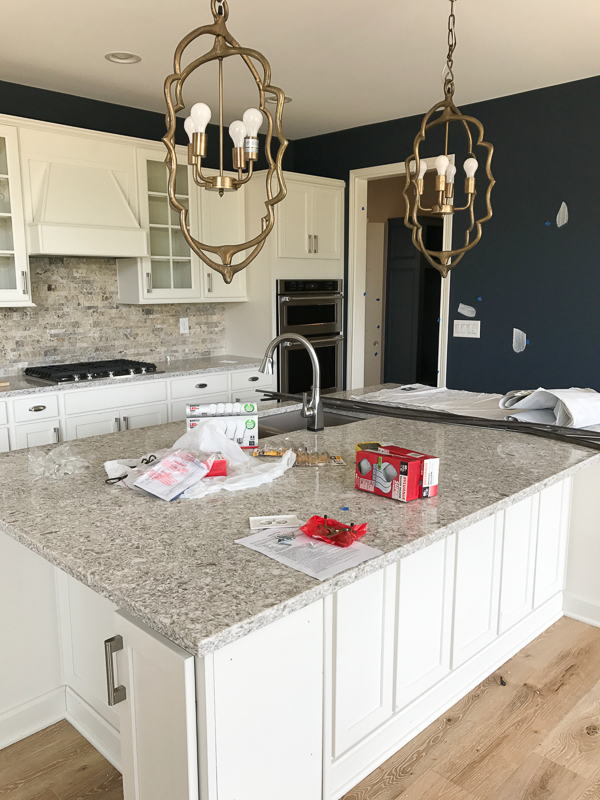 (All photos in this post were taken by me while I toured the 2017 BIA Parade of Homes a month before it opened). A shot from the the only home that was decorated. 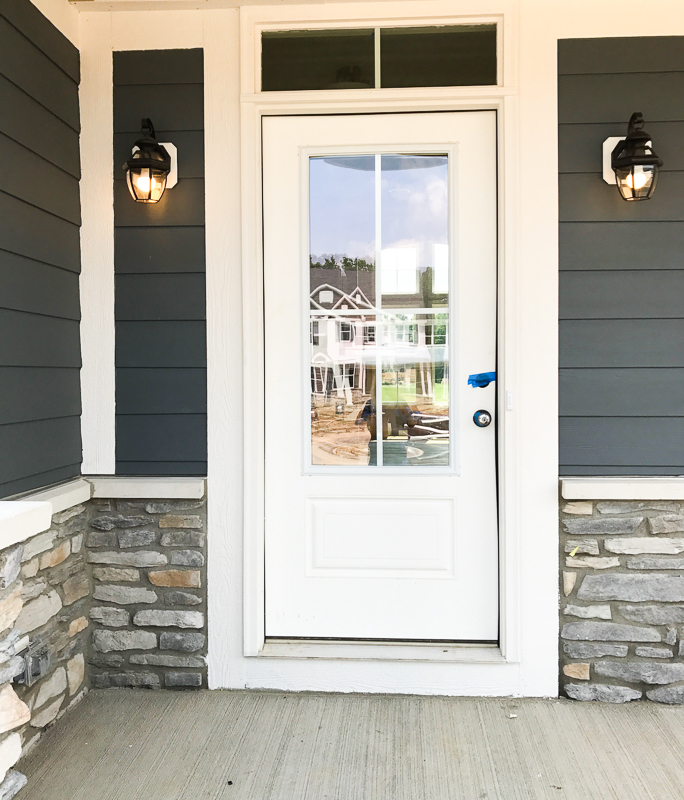 Trend #1- Front Door with Lites. Out of the 9 Homes in the Parade I believe all but one had a front door with a “window” in it. Last year there were maybe a couple but this year it is a definite trend! Trend #2- Use of Black and White. 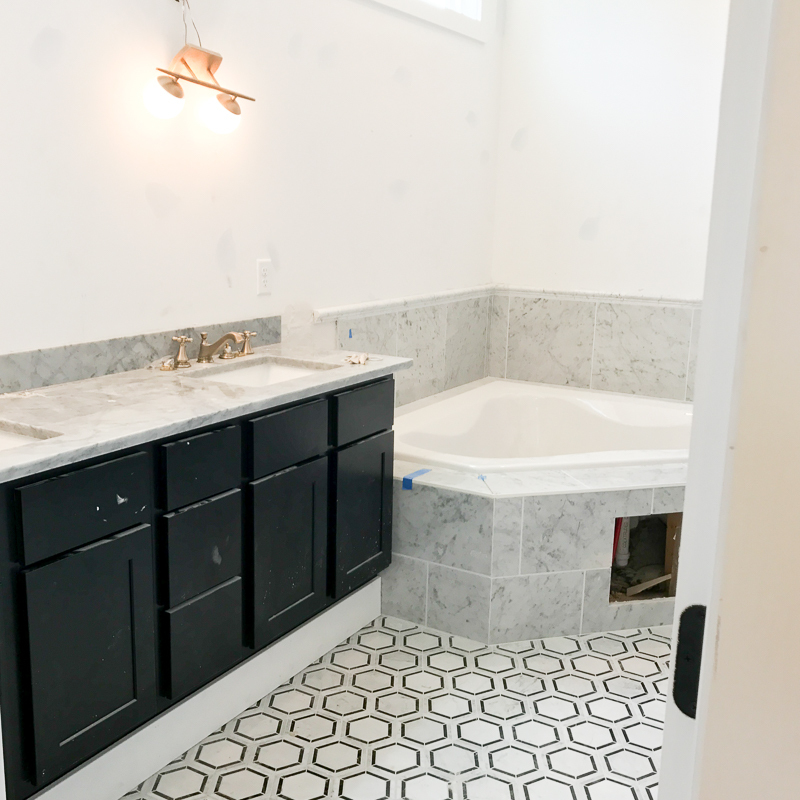 Many of the choices for kitchens and bathrooms and other design elements were black and white. 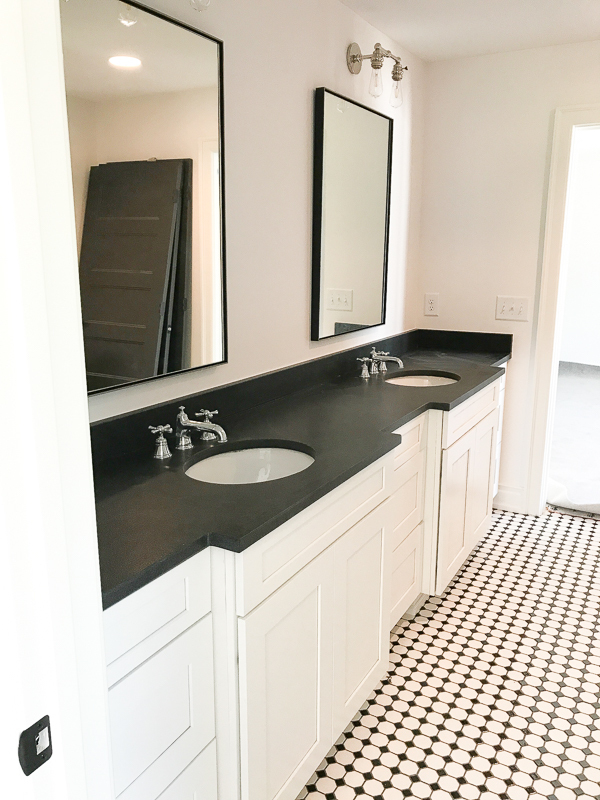 I especially noticed a lot of black leathered granite countertops in both bathrooms and kitchens. You can learn more about how black is trending in interior design, Here. Trend #3- Gray is still going strong. I wrote about the gray trend, Here, and it was still heavily used thoughout the homes in the Parade this year. 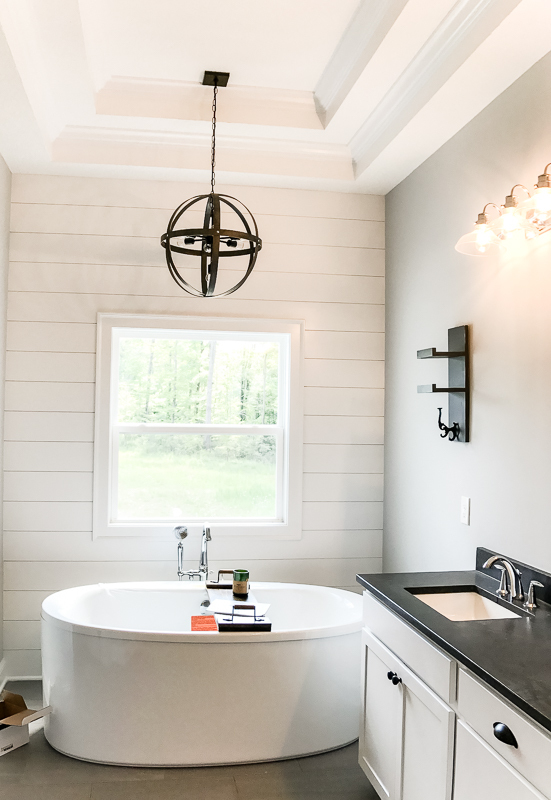 From wall paint, to interior doors, to cabinetry gray is still the go-to neutral right now! This little room was one of my favorite ideas. 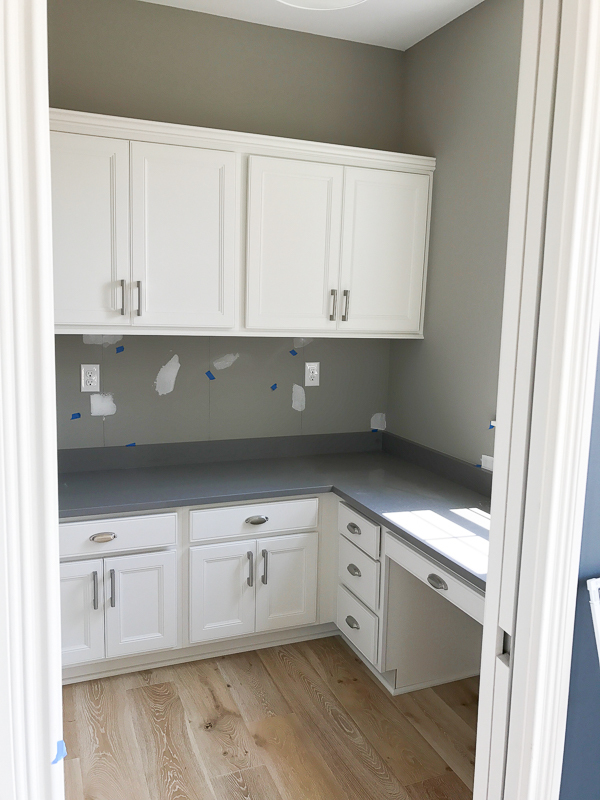 It was right off the kitchen and is the perfect place and size for organizing mail and kid’s school papers and getting a little work done. 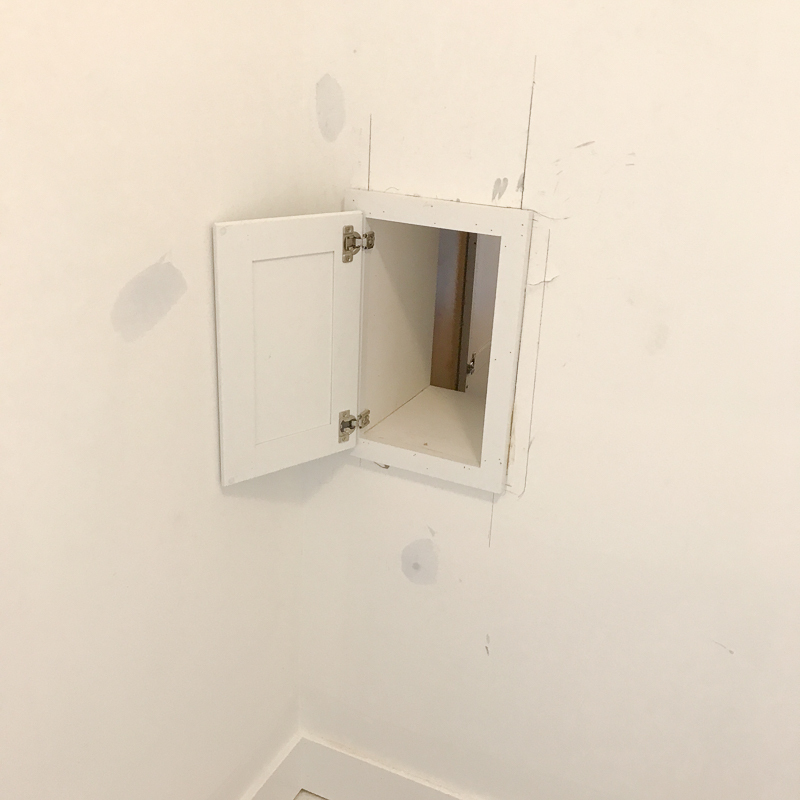 It also looks like it has a pocket door which slides out from the wall. 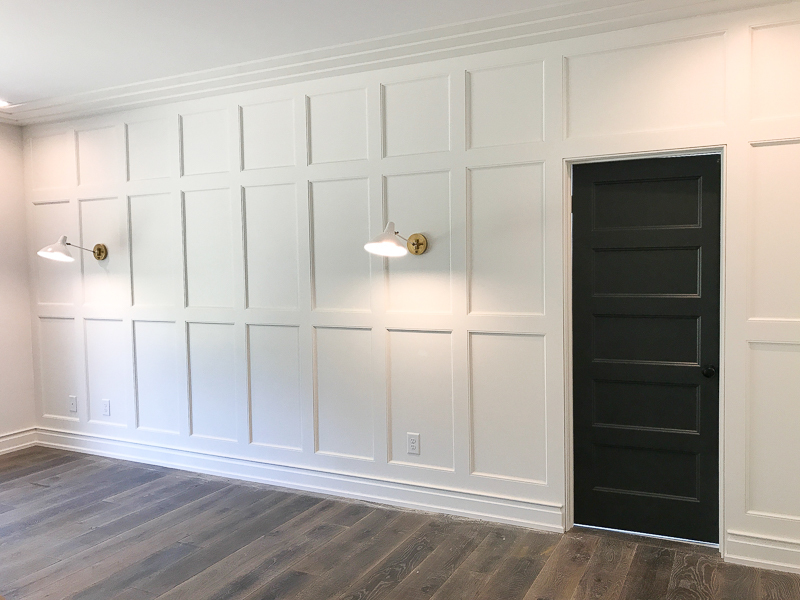 I’m totally crushing on pocket doors right now!! This builder had these desks built in two of the kids rooms. And chose to paint them gray. 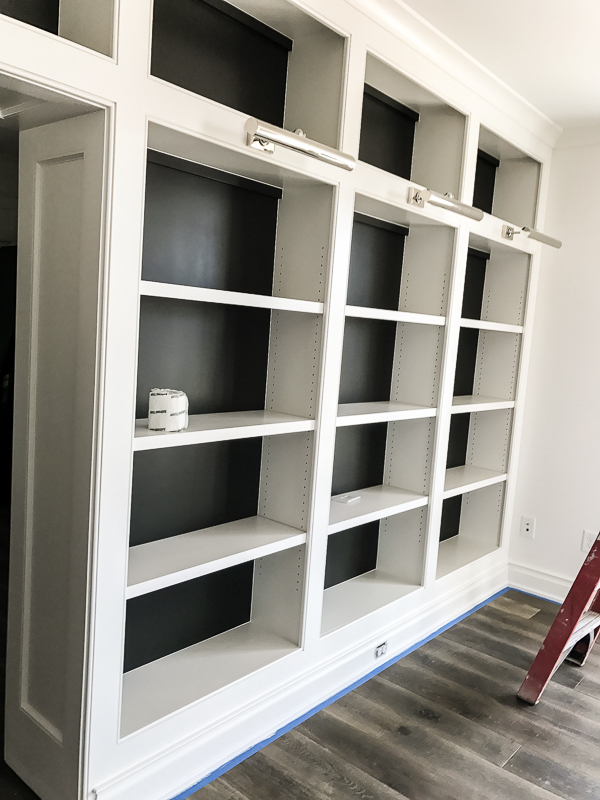 Trend #4- Built-in Bookcases. So at the Parade last year and the year before every home had built-in bookcases at least somewhere in the home. This year there were still some but not quite as much as in past years. Trend #5- Reclaimed Wood Features. For some reason I thought that I might see a lot less of this trend this year (maybe because I’m personally a bit tired of it) but nope reclaimed wood design features are still going strong. 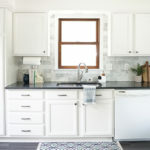 Trend #6- Windows or Doors in the Laundry Room.. 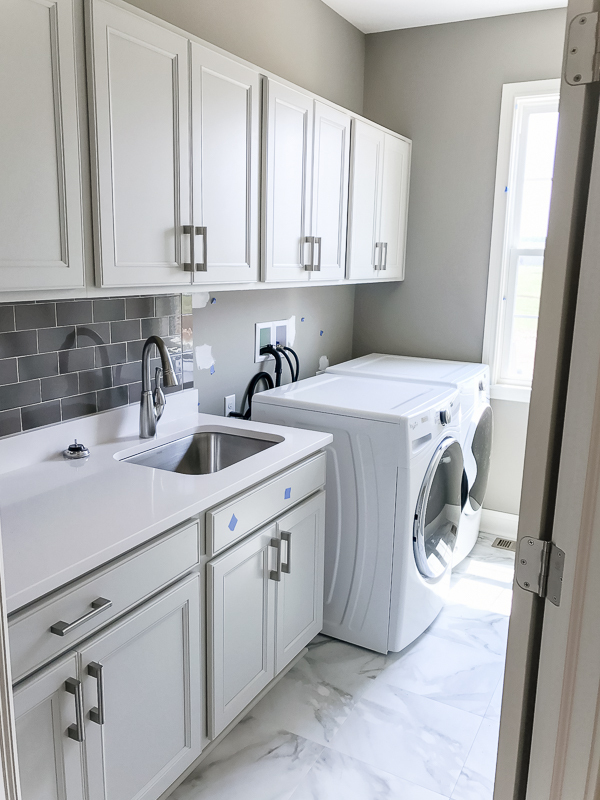 Many of the laundry rooms at this year’s Parade of Homes were small to medium but most of them had a window (which I would love someday in my home). 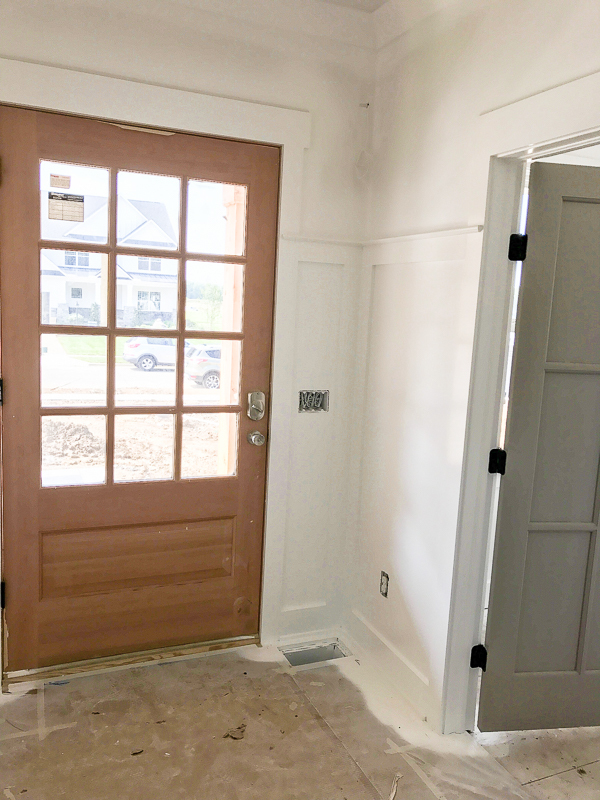 When the homes didn’t have a window they had two doors one that connected to the hallway and one that connected to the master bedroom. 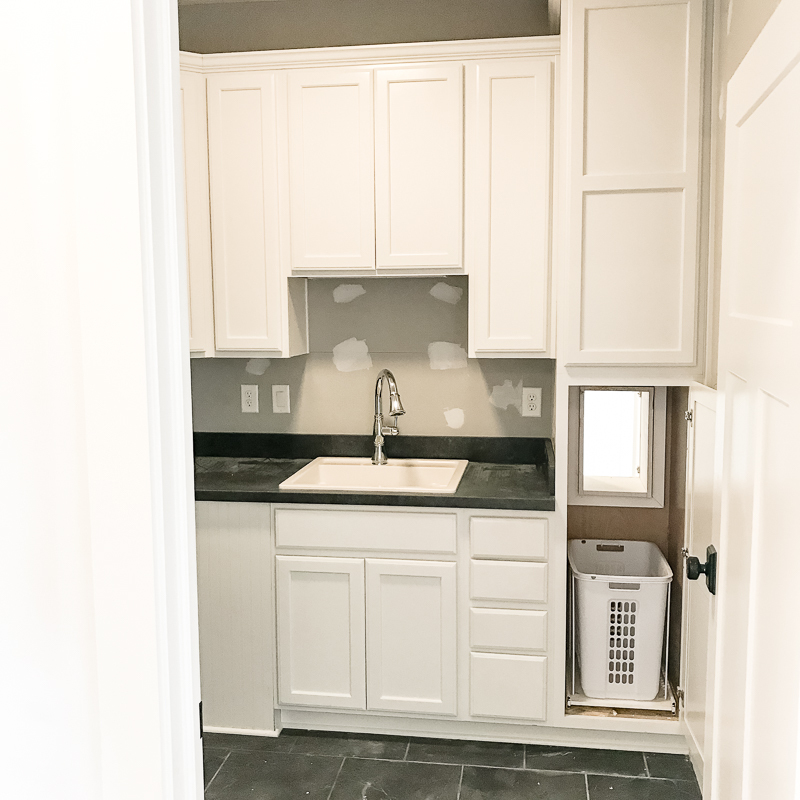 The laundry room below has a laundry chute door that goes from the master bedroom right into a hamper in the laundry room located on the other side of the wall! 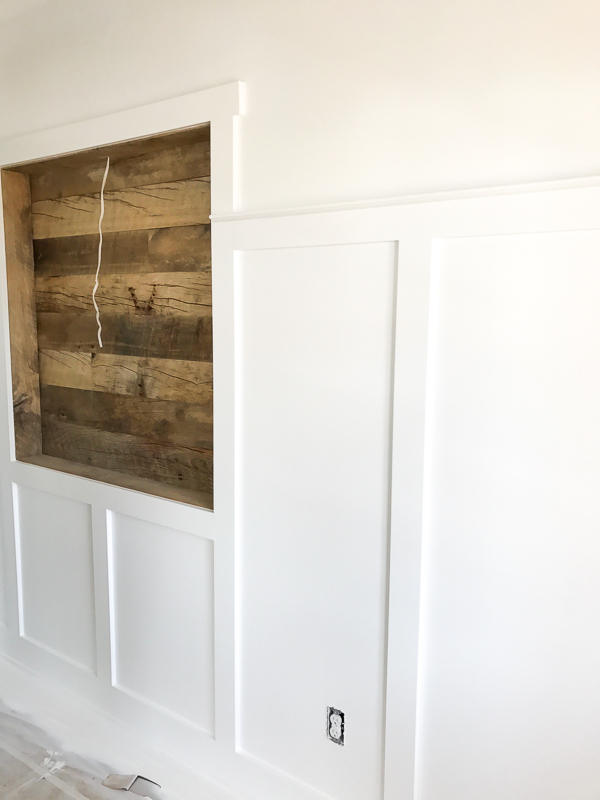 Trend #7- Shiplap.. 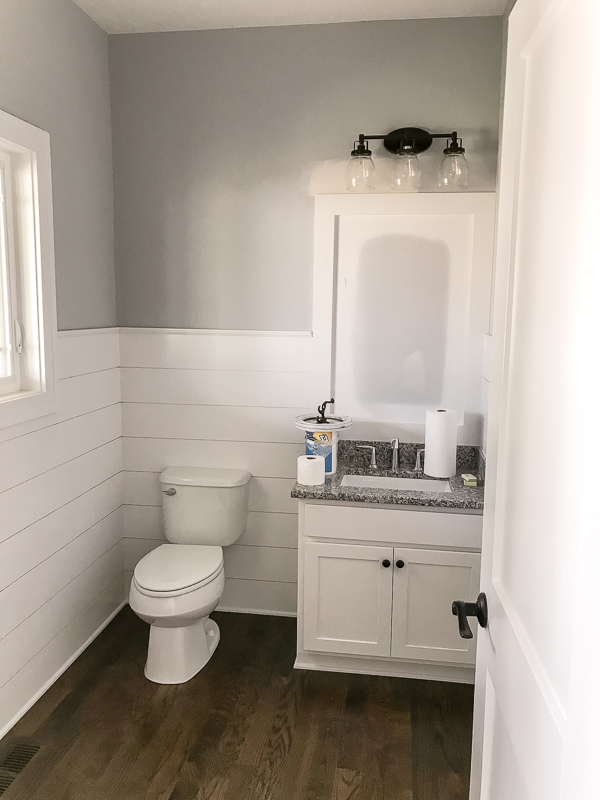 Although shiplap was still widely used in many of the homes I did see a small decrease since last Parade of Homes. I love this gorgeous ceiling! 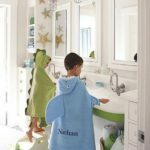 Trend #8- Mudrooms. I was curious going into the tour if mudrooms would still be a thing. 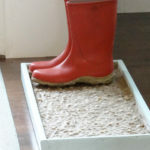 I was happy to see that in almost all of the homes the builder had set aside at least some space for a built-in mudroom. 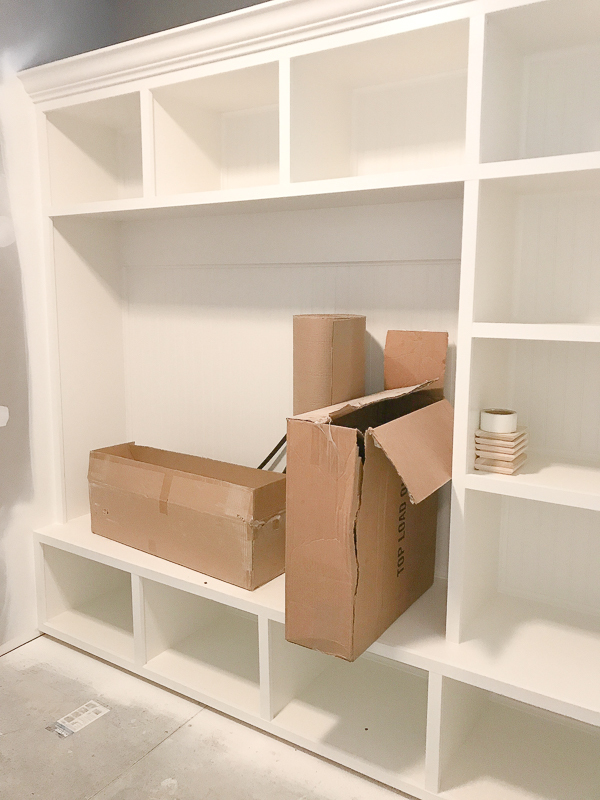 I especially loved how this one had cubbies built all around it! Perfect for storing winter hats and gloves, extra shoes, or even backpacks. Trend #9- A Mix of Metals. Right now brass, oil-rubbed bronze, chrome, and nickel hardware and lighting are all in style. Not only that, they can even be used simultaneously in the same room. It use to be that you would match all of your hardware. This year almost all of the home builders mixed a bit. The trick to mixing is if you use one metal be sure to use it again somewhere else in the room. Trend #10- Thin, Plain Porch Pillars. In recent years past porch pillars have been adorned with stone or brick or elaborate trim work. Past years also seemed to follow the adage the bigger the better. This year, however, pillars were very plain and slender. 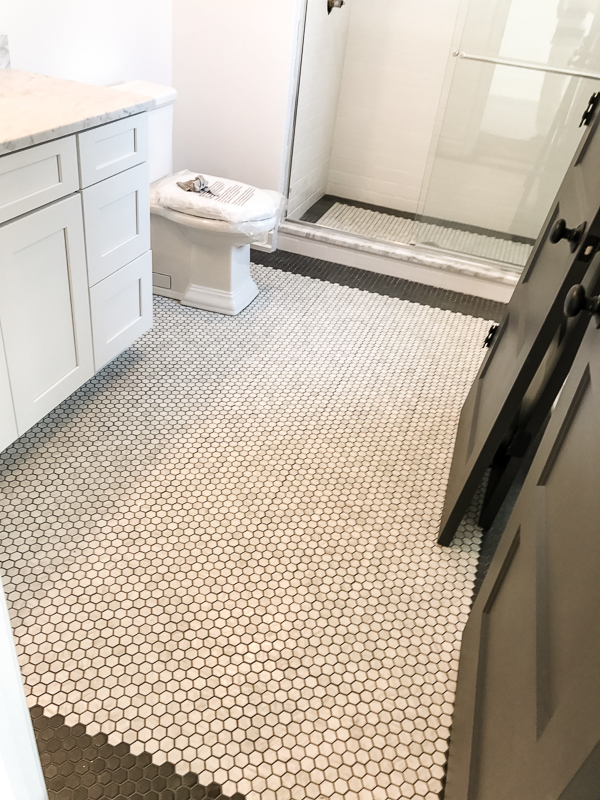 Trend #11- Smaller Scale Floor Tile. 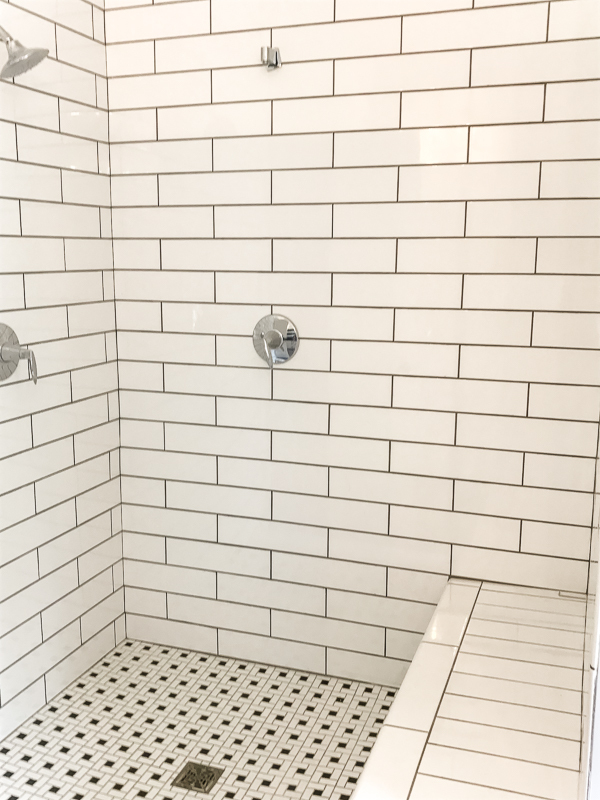 Over the past few years the shift of large floor tile (24×24, 24x 18) has swung to small. 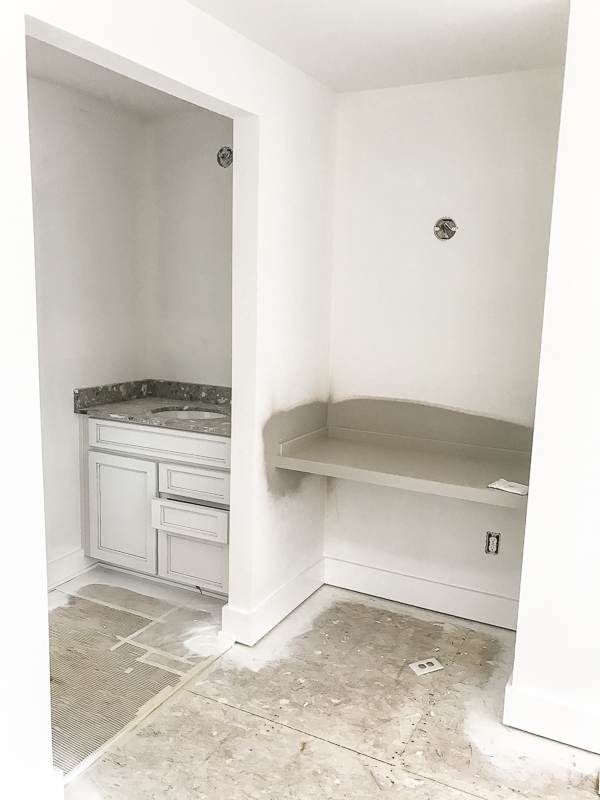 This was still definitely the case in homes at the BIA Parade of Homes this year. I loved this little swing door in one of the home’s basement bar areas. Trend #12- Decorative Trim Work. 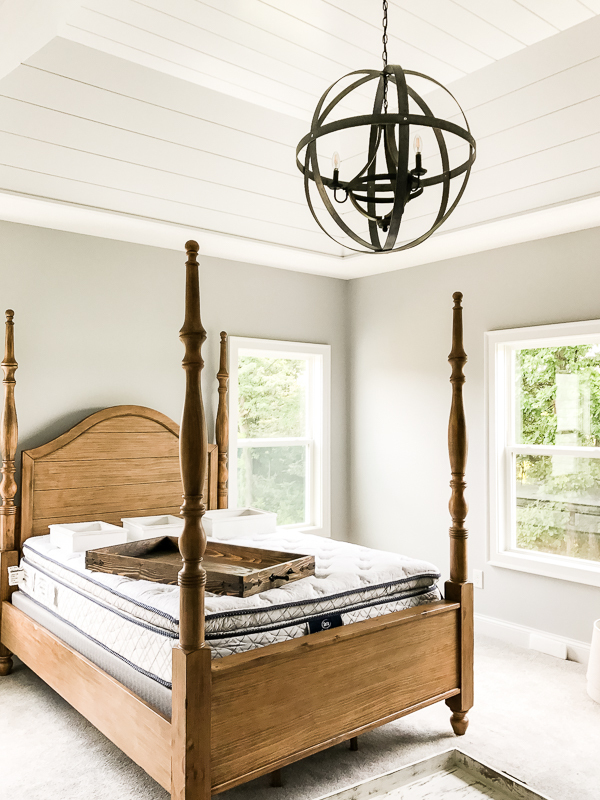 Decorative trim work such as board and batten, coffered ceilings, crown molding, cased windows, large baseboards, and the like continue to abound in popularity. Most, however, are not ornate in style but instead very clean cut. 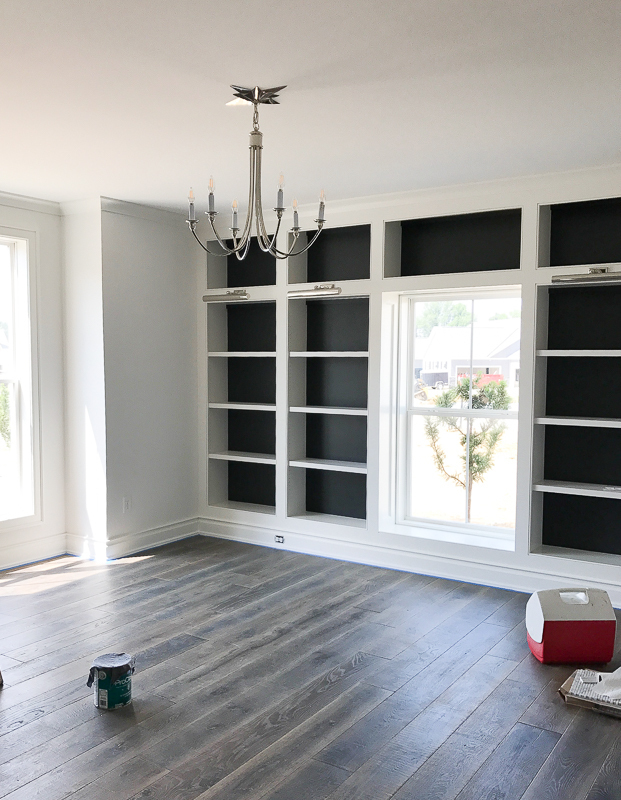 It will be very interesting to go back once the homes are decorated and see how much color and personality is brought in with the decor. I’m looking forward to it!! 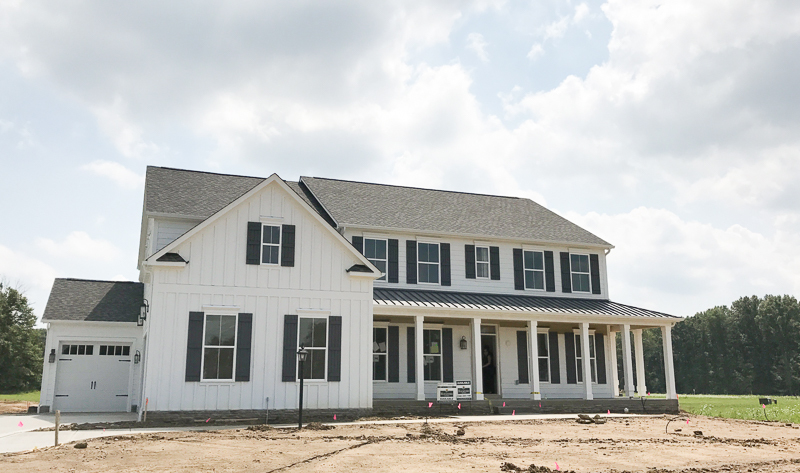 For all of those close to Central Ohio the 2017 BIA Parade of Homes will take place Sept. 2-17 at Cheshire Woods, a brand-new residential neighborhood in Berkshire Township in Delaware County (located just east of I-71 on Cheshire Road). 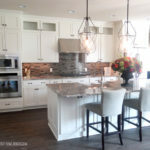 If you would like a chance to win a free ticket to the 2017 BIA Parade of Homes subscribe to my weekly blog post via the sign up form in my sidebar (it’s free) OR follow me on Instagram HERE. Then send me an email to providenthomedesign@gmail.com letting me know that you did AND you will be entered! I hope you enjoyed getting a sneak peek from my camera lens! 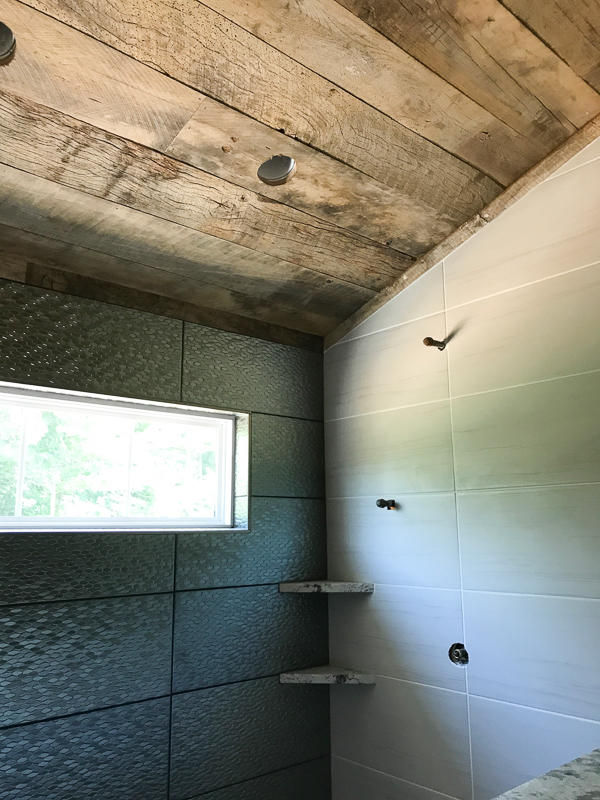 Have you noticed any other home building trends in your area? 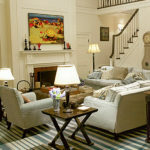 Thank you Tamara, I really enjoyed seeing all of the rooms. Gave me some good ideas. Can’t wait to see what they look like fully decorated! Thanks for a great tour Tamara. Thank you for being here, Jennifer!! 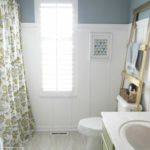 Thanks for giving us a little look I love seeing what is new and trendy with the new home. Exciting stuff! What a fun opportunity for you to see the work in progress! Glad to see black countertops are coming back. 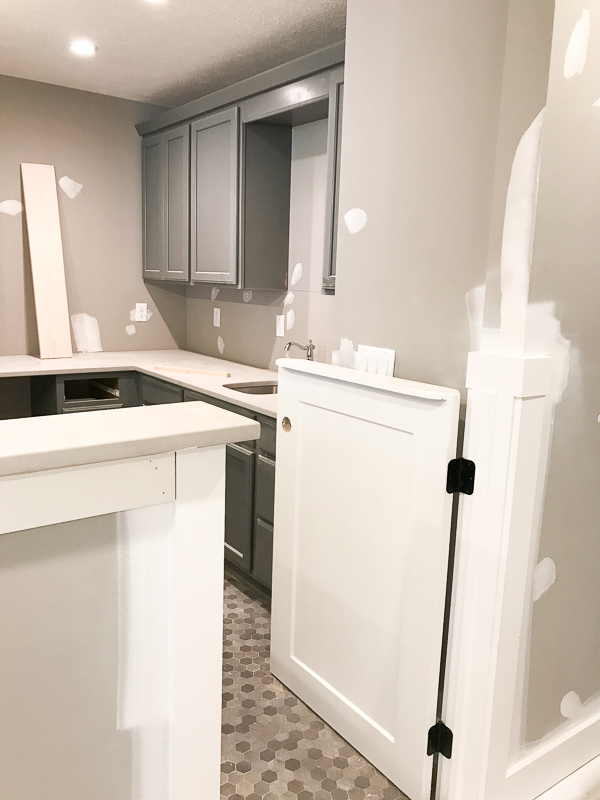 I have antiqued off white cabinets with black solid surface counter tops with black pulls and knobs. BTW, my house was built in 2004. I was toying with the idea of getting lighter quartz but with other projects consuming our money right now those were put on the back burner. Wow, the house looks gorgeous! The bathroom was my favorite room, it looks so chic and elegant! What a collection of home tour. Amazing! Loved all the home designs. All designs are so inspiring! Thanks for sharing!